Protect your rights and maximize your payout after a North Dakota car accident. We answer key questions and show you how to build a strong insurance claim. Car accidents happen out of the blue. You can be driving a route you know like the back of your hand, and suddenly find yourself on the roadside, reeling from the impact of a collision. When you’ve been injured in an accident, you’ll want to be fairly compensated for your losses. Getting the financial settlement you deserve starts with building a strong insurance claim. You can’t avoid every car accident, but when it happens you can be prepared to build a strong insurance claim by knowing what to do and say, and just as importantly, what not to do or say after an accident. This guide provides 10 steps to building a strong car insurance claim, with answers to the most frequently asked questions after a car accident. What should I say to the 911 operator? What if I hit a parked car and the driver isn’t around? What if I’ve hit property other than a vehicle? When do I have to report the accident to police? 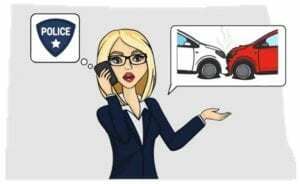 What if I’m injured and can’t report the accident? What will the police do at the accident scene? Does the officer have to listen to my side of the story? What can I ask the other driver? What other evidence will be helpful to my claim? What does a Notification clause look like? Are there insurance claim apps? 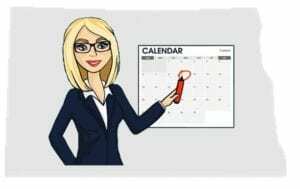 What insurance coverages are required in North Dakota? When can I pursue the at-fault driver for damages? How does comparative negligence affect me? How much can I sue for in North Dakota Small Claims Court? Do I sue the at-fault driver, or the driver’s the insurance company? 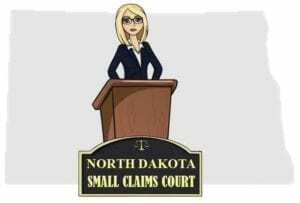 How can I learn more about North Dakota’s Small Claims Court? What is the Statute of Limitations for injury claims in North Dakota? What if the insurance company won’t help me? North Dakota law requires drivers who’ve been in car accidents to stop immediately at the scene of the accident, or as close as possible without obstructing traffic. Check to see if anyone is injured and call 911 to report the accident. Help the injured as best you can until EMS arrives. You must also show your driver’s license to the driver or passengers of the other vehicle upon request. The 911 operator will need to know your location, if anyone is injured, and what’s going on at the accident scene. Location: Be specific. If you’re at an intersection, give the dispatcher the intersecting streets. If you’re on the highway, look for the nearest mile marker, or the nearest exit. Describe any landmarks near the accident scene. Injuries: Tell the operator if you or anyone else is injured or feeling sick. Let the operator know if anyone is pinned in a car or may have been killed. Hazards: The operator needs to know of any risks or danger near the accident scene, like overturned cars, fire, traffic problems, leaking fuel or downed power lines. North Dakota law requires drivers to render reasonable assistance to any person injured in the accident, including driving or making arrangements to have the injured person driven to a facility for medical treatment. Until paramedics arrive, help the injured as best you can. You can not legally be held liable for volunteering first-aid during an emergency. Your injuries may be obvious, such as fractured bones or open wounds. But, not all serious injuries are readily apparent. Some severe, potentially life-threatening injuries like internal bleeding or closed head trauma may not show clear symptoms until hours or even days after the car accident. Shock and distress can mask injury symptoms. Never refuse medical attention at the accident scene. This is not the time to put on a brave face. Be honest with emergency responders about every symptom you’re experiencing, no matter if it’s mild. If paramedics want to transport you to the hospital, let them take you. If you aren’t taken directly to the hospital from the accident scene, be sure to have a medical evaluation as soon as possible. If your personal medical provider isn’t available, go to an urgent care center or hospital emergency department. Refusing or delaying medical treatment after a car accident will seriously undermine your insurance claim when the insurance company contends that your injuries aren’t related to the crash. When you’ve hit a parked and unattended vehicle, you are required to stop. Try to locate the driver or owner of the car and give them your name, address, insurance and registration information. If you can’t find the owner, leave a note on the damaged car with your name, address, and an explanation of what happened. When you’ve hit property other than a vehicle, like a fence or a telephone pole, you’re required to make a reasonable effort to locate the property owner and give them your name, address, and insurance information. When you’re in an accident resulting in injury or death, or property damage to an apparent extent of $1,000 or more, you must immediately report the accident to local police. You are not required to notify the police if you’ve hit a wild animal, like a deer, regardless of the extent of damage to your car, so long as no other vehicles are involved. If you are physically incapable of giving immediate notice of the accident to law enforcement, your passenger should make the call to police. If you were not the owner of the car at the time of the crash, and you or your passengers are physically unable to report the crash, the owner of the car must report the accident within five days after the accident. Law enforcement will usually be dispatched to accidents with reported injuries or hazards, or where there is extensive property damage. Police officers are trained in accident management and investigation. The officer has the authority to secure the scene, coordinate care and transportation of the injured, manage traffic, gather evidence, issue traffic citations, and more. While you have the right to speak with the police, the investigating officer is not required to stop and listen to you. You must stay on the scene and follow the officer’s instructions. Don’t argue with the police. Yelling or making confrontational statements will not only impede the accident investigation but in extreme circumstance, may also lead to your arrest. When the investigating officer asks for your name and address or asks you to exhibit your driver’s license and proof of insurance, you must cooperate. However, you are not required to answer questions about actions which might result in criminal charges being brought against you. If the investigating officer determines you violated North Dakota traffic laws, you may be issued traffic citations. While you can attempt to dissuade the officer from giving you a ticket, once the citation is issued, you should accept it. Accepting and signing a traffic citation is not an admission of guilt. If you want to argue about getting a ticket, do it in traffic court, not at the accident scene. Accident scenes change rapidly. Cars are towed, and the people involved go their separate ways. Important evidence may leave with them. If you’ve been in an accident caused by someone else, you’ll need proof that the other driver did something wrong or failed to act responsibly. Take advantage of the short window of time after an accident to gather the evidence you’ll need to support your insurance claim. Property damages can include the cost to have your car repaired, the cost of a rental while your car is being fixed, the cost of personal items damaged in the crash, and the value of your car if it’s a total loss. Personal injury damages can include the costs of your medical, dental, chiropractic, or mental health treatment; medications; assistive devices like wheelchairs and crutches; therapy; replacement services; and pain and suffering. Drivers are required to disclose their name, address, car registration, and insurance information. If the driver doesn’t own the car that hit you, get the car owner’s name and contact information. Use your phone, camera, tablet or any other device at hand to take as many photographs and videos as you safely can. Walk around the scene to get pictures from different angles. Photos and videos can reveal critical details of the vehicles, the accident scene and the surrounding area. Sometimes, pictures or video will capture how the drivers and passengers were conducting themselves, possible intoxication, and other factors that may have been involved in causing the accident. Photographs and videos often become compelling evidence that makes it harder for others to change their story after the accident. Witnesses are not obligated to talk to you, but you can try to speak with potential witnesses long enough to find out if they saw anything that might help your claim. This is especially important if they are willing to state the other driver was to blame, and why. If you have a cooperative witness, ask for their name, contact information, and if they will write down a statement of what they witnessed. Have the witness sign and date their written statement. Vehicle: The make, model, year, license plate number, expiration date, and vehicle identification number (VIN). The VIN can normally be found on the dashboard in the left corner near the windshield, on the driver’s insurance card, or inside the door jamb of the driver’s side door. Don’t enter the other car without permission. Passengers: Ask for all passengers’ names, birth dates, and contact information. Passengers are not required to share information with you, but that can’t stop you from making detailed notes for yourself about how many passengers, their ages, what they looked like, and any passenger statements and behaviors you observed. Diagrams: Draw a diagram of the accident scene showing the location of each vehicle before and after the accident. Indicate the direction each car was heading. Include information on road conditions, and add notes about the date, time, traffic conditions, weather, and anything else that may have contributed to the collision. Be prepared with a free Car Accident Information Form. Store copies of the form with a pen in your car, in the same place you keep your proof of insurance and registration. You’ll always be equipped to gather the evidence you’ll need for a successful insurance claim. The majority of auto insurance policies in the U.S. contain a Notice of Occurrence and Cooperation clause. The clause means you agree to tell your insurance company when you’re in an accident, and you also agree to cooperate with the insurance company’s accident investigation. Your auto policy is a contract between you and your insurance company. Your part of the contractual agreement includes notifying the insurer when you’ve been in an accident. You must notify the insurance company even if the accident wasn’t your fault or no one was hurt. It’s always in your best interest to notify the insurance company of an accident. If the other driver decides to blame you, begins to complain of injuries, or hires an attorney, you can bet they’ll be contacting your insurance company to demand money. Your insurance company would be at a terrible disadvantage if you hadn’t already notified them of the accident. Failing to notify your insurance company of an accident can cause them to raise your premiums, decline to renew your policy, or even cancel your insurance. There are lots of insurance claim apps available for both Apple and Android devices, making it faster and easier to start your car accident claim. North Dakota relies on a no-fault car insurance system. Under the no-fault system, each driver involved in a crash relies on their own car insurance to pay medical bills, out-of-pocket expenses, and lost wages resulting from a crash. No-fault insurance does not pay for pain and suffering. Liability coverage: Bodily injury liability coverage of no less than $25,000 per person, and $50,000 per accident, as well as property damage liability of $25,000 per accident. Liability coverage is used for claims brought against you by others when an accident was your fault. Uninsured motorist coverage: Bodily injury uninsured motorist coverage of no less than $25,000 per person, and $50,000 per accident. Uninsured motorist provides you coverage for injuries caused by another driver who does not have insurance. This coverage does not pay for physical damage to your vehicle. Underinsured motorist coverage: Underinsured motorist coverage must be equal to the uninsured motorist coverage. Underinsured motorist provides you coverage for a bodily injury claim you would have against another driver whose liability coverage is less than your underinsured coverage. Basic no-fault: Also known as Personal Injury Protection or PIP coverage, your policy must provide coverage of no less than $30,000 per person. Basic no-fault provides coverage for injuries from an auto accident regardless of who was at fault. For more information, visit the North Dakota Insurance Department website. As the victim of a North Dakota car accident, you must first look to your own Basic no-fault or PIP coverage to pay for your medical bills, out-of-pocket expenses, and lost wages. However, you may seek compensation from the other driver or the other driver’s insurance company when your medical expenses are more than $2,500, or when your injuries have caused a “serious and permanent disfigurement or disability” that will last more than 60 days. North Dakota’s no-fault rule does not apply to property damage claims. If you’ve sustained property damage from an accident, you can pursue the at-fault driver by filing a claim with the driver’s insurance company, or by filing a lawsuit against the driver. Under the North Dakota Modified Comparative Fault rule, each driver will be held responsible (liable) for damages sustained in the accident in proportion to each driver’s percentage of fault. 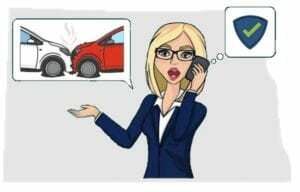 After a North Dakota car accident, you can pursue the other driver for compensation, so long as the other driver was more to blame for the accident than you. 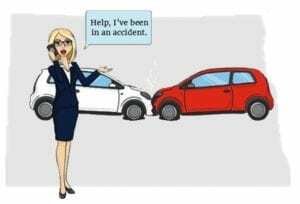 If you are equally to blame, you won’t be able to recover any financial compensation from the other driver or the other driver’s insurance company. While honesty is always admirable, you should never admit fault after an accident. 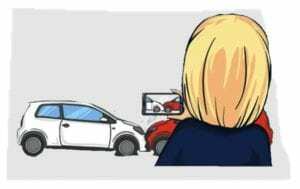 There are too many variables which go into a car accident, and you just don’t have enough information about all the factors that contributed to the collision. Until the accident has been thoroughly investigated, you won’t know if the other driver made any errors or omissions leading to the crash. Remember, if the other driver is found to share liability for the accident, they may be limited in the amount of compensation they can get from you or your insurance company. Under comparative negligence laws, potential compensation for your accident losses will be reduced according to your share of liability for the accident. 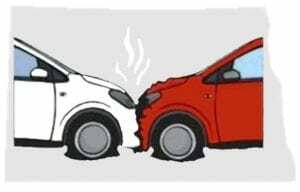 The insurance company will make a determination of your share of blame for the accident. If you disagree with the insurance company’s position, you may need to consult a personal injury attorney. Sammy was driving west on Canyon Road to pick up his son from daycare. He was texting his wife to let her know he was running late. At the same time, Rebecca was driving northbound on Park Street, heading home from school. As she approached the intersection of Park and Canyon, she sped up to make it through the intersection before the yellow traffic light turned red. Unfortunately, the light turned red as Rebecca entered the intersection. She crashed into the side of Sammy ’s car, causing serious injuries to Sammy. Sammy was seeking $100,000 for his personal injury claim, to cover his medical expenses, lost wages, and pain and suffering. Rebecca’s insurance company refused to pay more than $50,000, arguing Sammy might have avoided the crash if he hadn’t been texting. Through his attorney, Sammy filed a lawsuit against Rebecca. During trial, the evidence showed Rebecca failed to stop at the red light, so she was legally responsible for causing the accident. However, the jury also saw evidence that showed Sammy was texting at the time of the accident. While the jury agreed that Sammy ’s personal injury claim was worth $100,000, they determined that he was 20% at fault because he was texting while driving. Rebecca was 80% at fault for the crash, for failing to stop at the red light. Since Rebecca was more to blame for the auto accident, under North Dakota’s comparative negligence rule, Sammy was awarded $80,000 (80%) of his damage claim, representing a reduction of $20,000 (20%) for his share of liability. If the jury had determined that Sammy was 50% or more at fault, he would have left the courtroom empty-handed, despite the severity of his injuries. There are some injury claims you can settle on your own. Other claims require the skill of an experienced attorney to persuade the insurance company to pay what your claim is worth. Before deciding to face the insurance company on your own, think about the type of injuries you’ve suffered, and what it will take to get the insurance company to pay. “Soft tissue” injuries include bumps and bruises, strains and sprains, whiplash, and similarly minor injuries. Soft tissue injury claims usually consist of medical, chiropractic, or physical therapy bills, some lost wages, and a nominal amount of pain and suffering. Soft tissue injuries are straightforward and can often be settled without the help of legal counsel. “Hard” injuries are much more serious and can include amputations, multiple fractures, internal bleeding, closed head trauma, paralysis, and similar severe, and sometimes permanently disabling injuries, and substantial amount of pain and suffering. Hard injury claims are complicated. Convincing the insurance company to pay the full value of your claim when you’ve suffered hard injuries usually involves expert medical testimony, subpoenas for records, interrogatories, actuarial studies, and more. There’s just too much to lose by representing yourself in a hard injury claim. The insurance company will do whatever it takes to avoid paying out large sums of money. Hard injury claims are high-dollar claims, so don’t believe the adjuster who says you won’t need an attorney. They know that once they make their “final offer” you probably won’t have the know-how or energy to fight them. They’re banking on it. Insurance companies routinely offer lower settlement amounts to claimants who are not represented by an attorney. Experienced personal injury attorneys have the skill, knowledge and legal tactics necessary to compel the insurance company to adequately compensate you for your injuries and suffering. 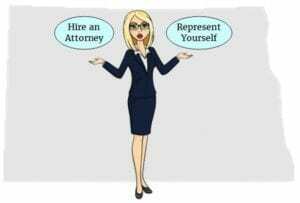 Most reputable personal injury attorneys don’t charge for your initial office consultation. Before your first meeting with an attorney, gather all your accident-related documents, including your medical records, accident report, witness statements, and records of any communication you’ve had with the insurance company. The attorney will listen to your story and review your documents. After considering all the facts, the attorney will discuss your claim’s value, how long it could take to settle, and if you’ll need to file a lawsuit. Personal injury attorneys are customarily paid on a contingency fee basis, meaning that your attorney’s fees will be paid out of your insurance settlement or court award. Contingency fees can range from 25% up to around 40% of your gross settlement amount or court verdict. If your attorney doesn’t settle your claim or win your case in court, you won’t owe any fees. North Dakota law gives Small Claims Courts jurisdiction to hear claims up to $15,000. Small Claims Court is a division of North Dakota’s District Court. The Small Claims Court was established so citizens could present their own cases to the court without the assistance of an attorney. You would file your small claims court action against the driver who caused the car accident, not the driver’s insurance company. For more information, go to the North Dakota Legal Self-Help Center Small Claims Information page. A statute of limitations for car accidents is the legal deadline for an accident victim to either settle their insurance claim or file a lawsuit against the at-fault driver. The North Dakota statute of limitations for personal injuries and property damage is six (6) years. The statute begins to run on the accident date. The insurance company has no legal obligation to settle your claim within the statute of limitations period. It’s up to you to take the necessary action to protect your claim before time runs out. Don’t risk forfeiting your claim. If you don’t have a signed settlement agreement, don’t wait until the statutory deadline to protect your claim. No matter what the adjuster promises, the insurance company doesn’t have the authority to give you an “extension” on the statute of limitations. They know what happens if your claim isn’t settled and you haven’t sued their insured before the deadline. If you don’t file a lawsuit against the at-fault driver within six years of the car accident date, you can’t do it later by blaming the insurance company. Don’t be afraid to file a lawsuit against the negligent driver. In fact, there’s no good reason to wait for years before consulting a personal injury attorney. Filing suit not only stops the statutory clock from running, but it also sends a clear message to the insurance company that they need to bring real money to the table. After the lawsuit is filed, your attorney will continue negotiations with the insurance company. Attorneys are often able to negotiate a good settlement before the case goes to trial. Keep a sharp eye on the statute of limitations deadline for your North Dakota car accident. Schedule alerts on your phone, mark the date on your calendar, or whatever it takes to remind you. If you aren’t making headway with the insurance company, or the deadline is less than a year away, consult an attorney. Don’t wait until the last day to act on preserving your claim.